I’ll admit it, I was very confused by preserves vs jellies vs jam. This is a preserve which often refers to a fruit spread made with whole fruit or large chunks of fruit, it is a thicker, fruiter based spread. And how chunky you want to make this is up to you. I got out my trusty old potato masher and went to town on it, but I like mine to be very spreadable. 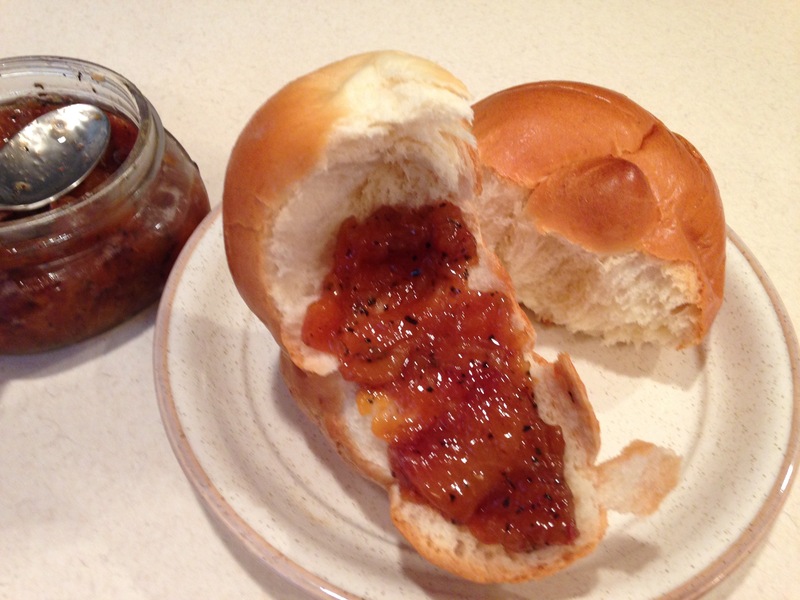 So I made my preserves with a more jam consistency (jellies are the runniest of them all). But back to this preserve. Go buy some peaches and make some. Really! Do it now! And don’t let the earl gray tea scare you. You don’t really taste the tea at all; it more just adds something in the background and keeps the preserve from being too sweet. 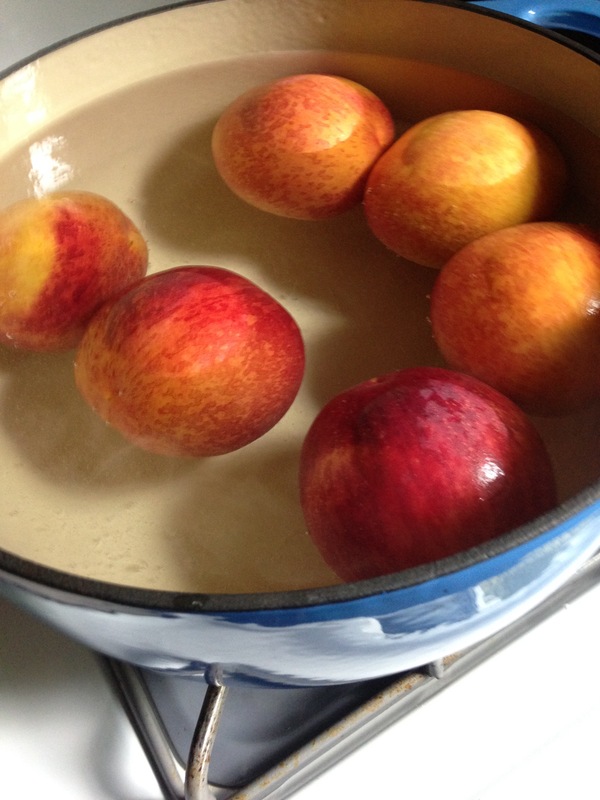 Blanch your peaches for 30 seconds by putting them into a large pot of boiling water, then a bowl of ice water. This should help loosen the skin for peeling but I still had trouble with mine. When I make it again I’m going to try scoring the skin of the peaches first and see if that helps. After the peaches are peeled, cut them into at least 1/4 inch slices, though I cut mine into smaller pieces because, again, I like my preserves spreadable. 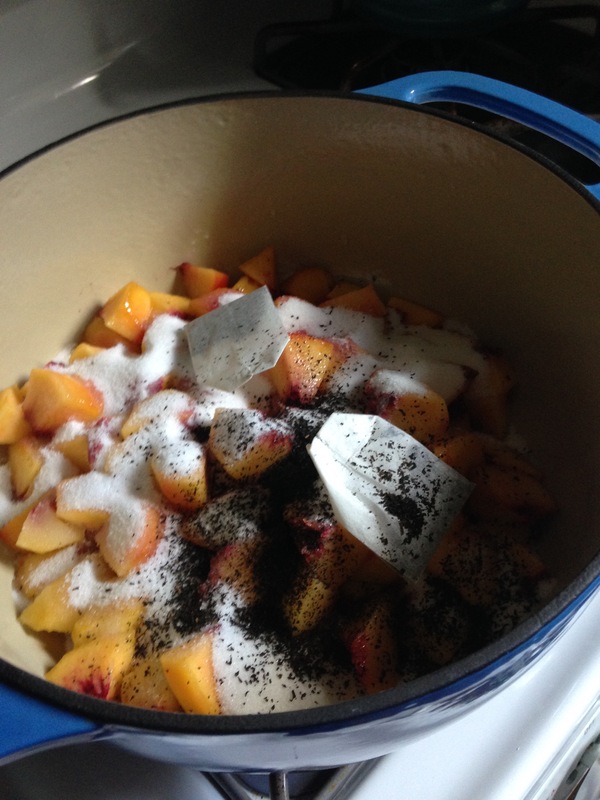 Place the peach slices in a heavy-bottomed pot and add in the sugar, lemon juice, and two of the tea bags whole. Tear the third tea bag open and sprinkle the loose tea into the pot. Stir well and then bring to a simmer. Cook for 40 – 60 minutes until the mixture is very thick and so fragrant! Remove the teabags and either can the preserves or let it cool and store in the fridge. 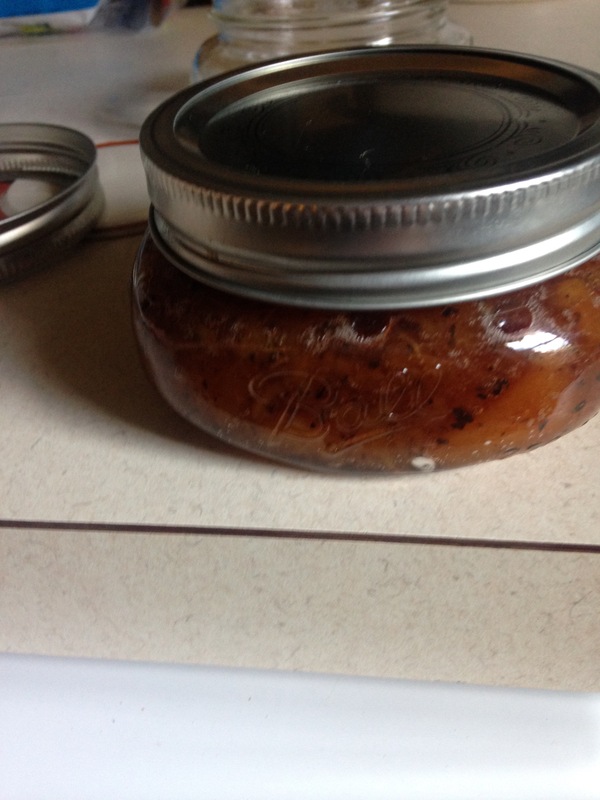 If canned the jars should last for a year, otherwise they should keep about two weeks. 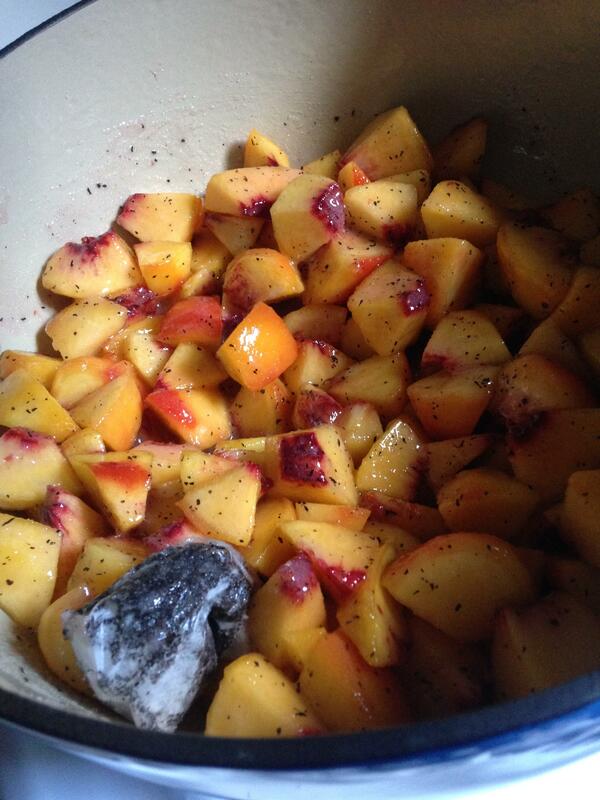 Blanch your peaches for 30 seconds by putting them into a large pot of boiling water, then a bowl of ice water. Peel the peaches. 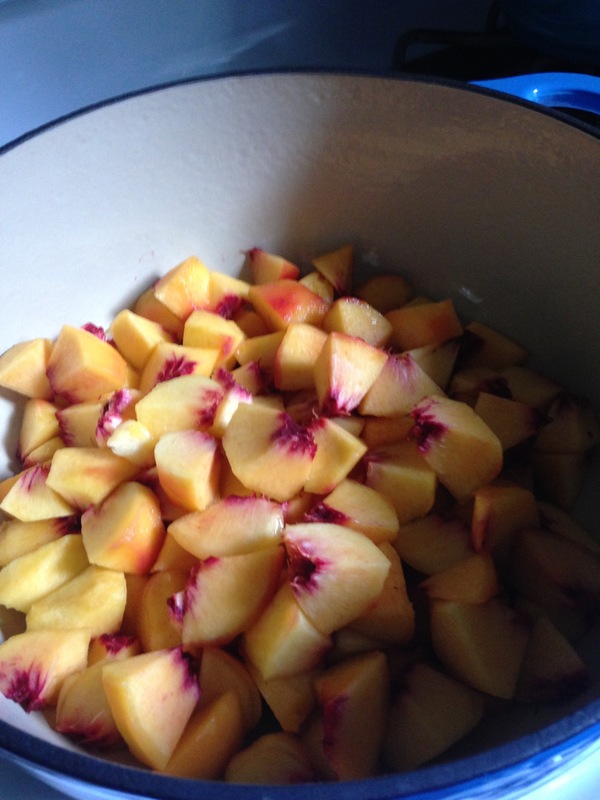 After the peaches are peeled, cut them into at least 1/4 inch slices. 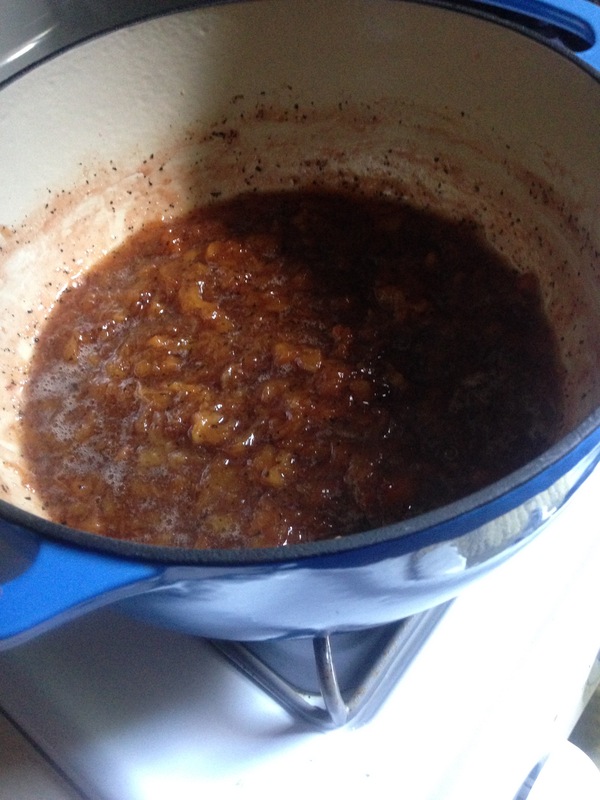 Cook for 40 – 60 minutes until the mixture is very thick. Remove the teabags and either can the preserves or let it cool and store in the fridge. When I was in college, living in the dorms, the kitchen situation was relativity dismal. But we did have a good stove top and I began regularly to whip up Rice Krispie Treats! Often I would throw in some M&Ms or whatever we could get at the little convenience store on campus. I even made a large skillet (yes skillet, I had a very limited range of pots, pans, and dish ware so I used everything non-traditionally) of Rice Krispie Treats for one of my best friend’s birthday one year and stuck in some candles! Trust me, homemade Rice Krispie Treats are so easy and so much better than the store bought thing! Three years ago today was our wedding. Awwww. And as you can probably guess we celebrated with Grilled Pizza, Eggs Benedict, a lovely Italian dinner out, and these amazing bakery style flourless chocolate cookies I’ll share with you all next week.